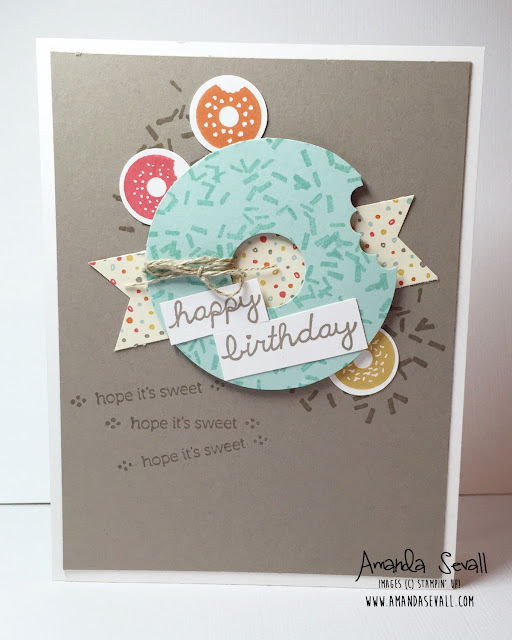 Amanda Sevall Designs: 365 Cards: Happy Birthday... Hope it's Sweet! Now that Christmas has officially passed us for another year, time to get ready for the new year! So today I thought it would be fun to make a birthday card! I'm a maple bar or donut kind of girl.... how about you?! 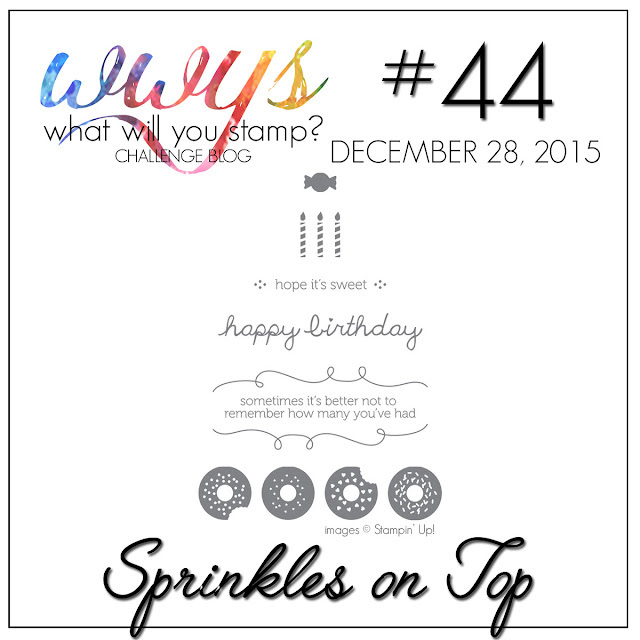 Thanks for stopping by and Happy (almost) New Year! OMG Amanda! 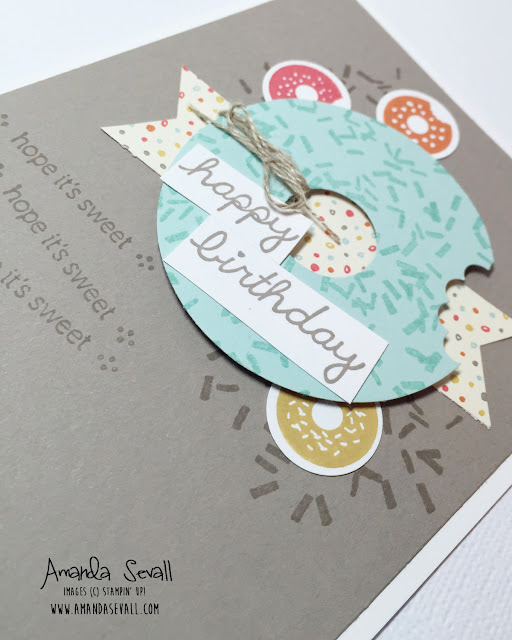 This card is sooo stinking cute! Love it! Seriously cute! Is there anyone who doesn't love donuts? I LOVE LOVE LOVE This card! Nice work!